Start planning your taco, barbecue, or brew-focused vacation now. 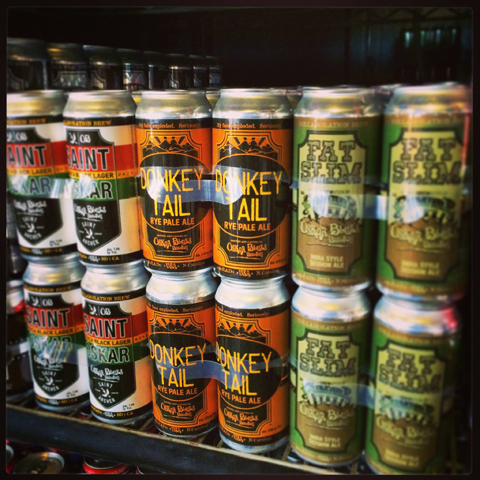 Summer is the perfect time to hit the road, stuff your face, and drink as much craft beer as humanly possible. We know food can make or break a vacation, so why not actually plan a trip around stellar snacks and suds? 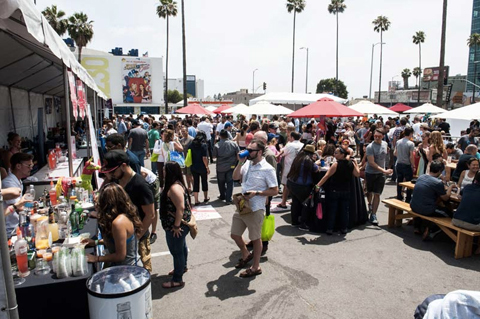 From an L.A. taco fest, to a food truck competition, to an overwhelming number of awesome craft beer events across the country, these are the 9 festivals to put on your radar this summer. What: LA Weekly founded this taco homage last year, which raises funds for a different charity each time. More than 40 tortilla pushers from LA and Mexico are taking part, all chosen by musician-blogger and “world’s first tacorazzo” Bill Esparza. General admission covers food and entertainment, and will set you back $25–$40; there’s also a $20 tequila garden ticket which buys you 10 samples and some new BFFs you won’t remember the next day. What: Chef Adam Dulye (The Monk’s Kettle, The Abbot’s Cellar) joins forces with the Brewer’s Association for this beer and food pairing blowout. More than 75 craft brewers from around the country will be represented, each pouring two beers accompanied by a matching small plate, like Short’s fruity Soft Parade with strawberry rhubarb pie or Odell’s Lugene stout with espresso-crusted bison. The $135 tasting tickets are already sold out, so you’ll have to hit up secondary market sites like Stubhub, where you can pick up passes for $200. If it helps soften the blow of being scalped, that also buys you access to an oyster bar, cheese table, and smoked meats station, plus you’ll take home a Firestone Walker and Flying Dog collaboration brewed just for the event. What: This Bon Appétit sanctioned festival is spread over four days and multiple venues around Portland. 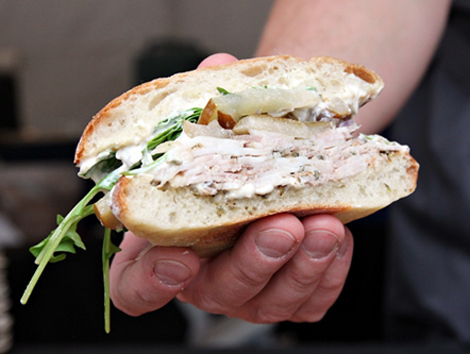 Choose from classes, talks, dinners, tastings, competitions and popular marquee events like the Sandwich Invitational and the Night Market—all with a focus on local chefs and ingredients. The 2014 lineup is still to be released, but take our word for it and set a reminder for May 19, when tickets go on sale. Last year’s prices ranged from $10 panel discussion to $150 wine dinners, but you’ll feel good knowing proceeds benefit hunger-fighting efforts in Oregon. 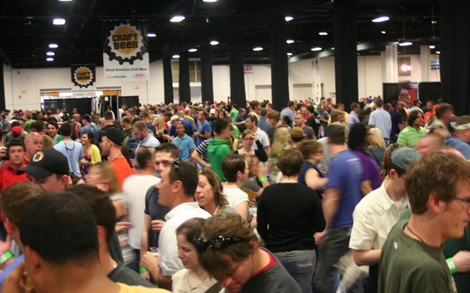 What: BeerAdvocate and Harpoon Brewery are behind this massive expo, where—if you’ve got the constitution—you can sample more than 600 brews over 3.5 hours. Even in 2oz pours that amounts to a lot of beer. Considering the scale of the event, it’s a good idea to look over the map and the long list of participants before you go. Around 140 breweries from all over the states are taking part, including a strong Massachusetts contingent (High Horse, Goodfellow’s, Pretty Things Beer & Ale Project) if you want to show some local solidarity. Tickets for the finest beer buzz you’ve ever had are $47.50. What: Sample canned suds from around 40 craft brewers at this Oskar Blues organized event, taking place in North Carolina for the first time this year. Alongside the beers, you’ll be able to watch outdoor sports like mountain bike dirt jumps and BMX trick contests—the fest runs in conjunction with the multisport Lyons Outdoor Games and the Pisgah Bike Ominum, a weekend of two-wheeler races. Unlimited tasting passes for the Colorado event are $30–$45, keep your eye on the website for the Brevard ticket release. What: The Oscars of sidewalk snacks, this street food competition started in New York in 2005 as a fundraiser for the non-profit Street Vendor Project. 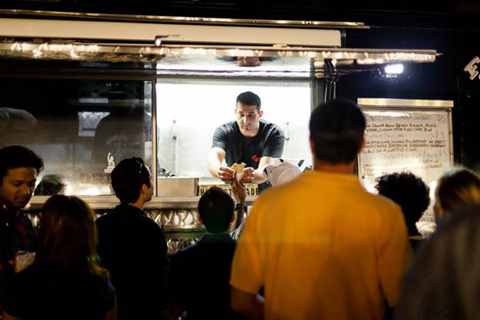 In the lead up to the festival, members of the public nominate their favorite food trucks online; the finalists then serve their goodies to attendees and judges at a one-day bacchanal. Expect long lines, but grub that’s worth the wait. Pricing varies per city (this year New Orleans offered a $6 pay-as-you-go ticket), but all-inclusive general admission usually costs between $50–$100. What: Scrub up nice for this haute series which champions heritage breed pigs and nose-to-tail eating. 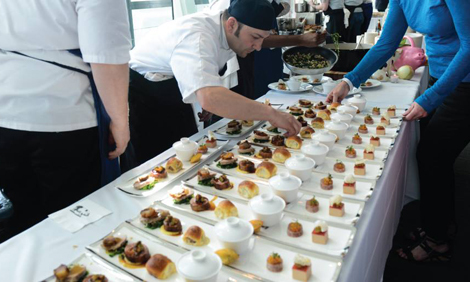 In each of the ten cities on the tour, five chefs and five winemakers face off in a competitive tasting event. The regional winners then vie for the “King/Queen of Porc” crown at the Grand Cochon in Aspen. The next stops are San Francisco on April 27 and Philadelphia on May 25. Be prepared to drop $125 to get in on the porcine action, or $150 if you want to elegantly stuff your face at the grand final. 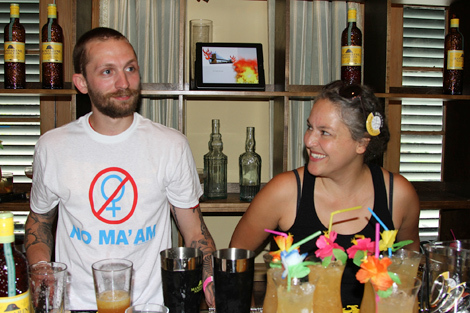 What: This five-day cocktail fest brings the international spirits community together to celebrate what’s new and next in bartending. Some of the city’s best-known mixologists—along with top bartenders from around the country—shake, stir, and pour their concoctions at various locations throughout the French Quarter. Tickets are on sale now for events happening all five days, including “Spirited Dinners,” lectures, demonstrations, parties, cocktail hours, and more. What: This meaty blowout hits nine cities in total, with the next stops in Charlotte, NC (May 10), National Harbor, MD (June 6–7) and Richmond, VA (June 14). A ticket gets you unlimited samples of 60 different beers and 40 bourbons, but you’ll have to pay per plate for smoky pulled pork, brisket and the like. 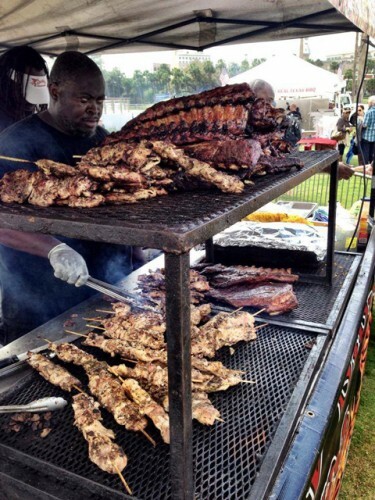 When you’re done licking the sauce off your fingers, check out live music, seminars, exhibits and a cigar tent where you can smoke out your meat sweats. The set up varies for each location, as does the price, but regular admission passes start around the $35 mark.